Manipuri language can be divided in two groups; Bishnupriya and Meitei. Through years of struggle and conflict, Manipuri language is now an established medium of communication. It has even gained recognition as one of the official languages in India. Both in Bangladesh and India, Manipuri people are producing international level literature. This cover story is a chronicle of Bishnupriya Manipuri Language. The second part of the article on Meitei Manipuri language will be published in the next issue of Star Insight. “No” usually comes before verb to establish significance, like; I am not going – Mi Na Jimga. When it comes to perfect pronunciation of the language, it can be said that there are few gasping phonetic in it. Bishnupriya Manipuri language has faced many hurdles of assault and torment by the elements of the society. It is probably one of most suffered languages. Starting from the 50s of last century to its end, for 50 long years of bloody struggle this language has established itself as one of the official languages of India. 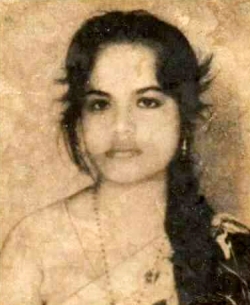 Through the imprisonment of thousands of students, and the life of Bhashabiranogona (language war-heroine) Sudeshna Sinha (died in 16 March 1996), it was recognized as a medium of language in the schools of Assam and Tripura. Even after so, it faced unreasonable complaints and legal charges. After years of legal fight, on the 8th of March 2007, through verdict of Indian supreme-court, Bishnupriya Manipuri language regained its identity as a Manipuri language. On the other hand, in the songs of Madoi Soralel, a conflict of ideology is found between two ancient Manipuri Gods; Soralel and Madoi. An inter-religious conflict of a race comes out in the reading too. An ancient pattern is noticeable in the language, word and sentence structure. The divine and earthly relationship of Madoi and Soralel (soul) and their conflict is expressed various ways through the appeal of Madoi. Another folktale in Bishnupriya Manipuri literature is called Apangrawari (Tale of the fool). In 18th century, during the reign of King Garib Newaj, Bengali Hinduism, and later Gaudiya Vaishnavism began to infiltrate Manipur. From then, Manipuris began to translate various Sanskrit literatures and religious books, and thus accelerated the trend of religious literature. 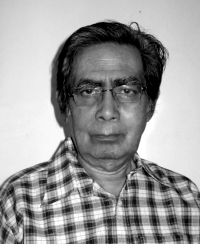 During his lifetime, Shonarup Singh, Modonmohon Mokhopddhay, Jogotmohn Singh and others appeared in Manipuri literature scene. Shonarup Singh's “Anoipi” is a flawless book of poetry. Its rhyme and lyrical synchrony is a wonderful reading experience. The strength of Modonmohon Mokhopddhay's poetic motion will touch any reader. Late Tripura health minister Bimol Singh is an important name for Manipuri prose. Although written in Bangla, the story “Ingeleiler Myer Biye” is a well discussed anthropological literary commentary of Manipuri society. The next decade turned out to be more vibrant and multi-dimensional for Bishnupriya Manipuri literature. Publication of Tripura Che (1979 till today), Ebaka (1980, Nua Ela (1982 till today) and others started. 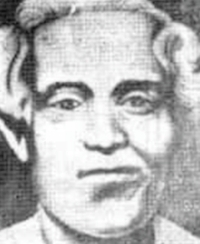 Samrjit Singh was also known in Bangla literature. “Techniques of Detachement” and “Marxist View” gave his poetry uniqueness. Ashukanti Singh, Shantosh Singh and Kanchonboron Singh of this century is experimenting withlanguage style in poetry. 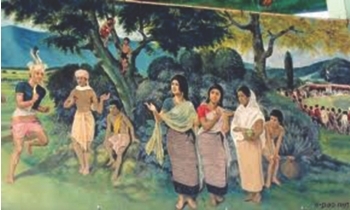 In parallel, Bangladeshi Bishnupriya Manipuri lyrical practice starts from the 1970s. In the 1930, the Vanubil peasant-revolt, and later Manipuris were directly participated in the liberation war of Bangladesh. Shukhumoy Singh expressed the sorrow of a broken man through the appeal of love in his poem “Tor Nishingye”. In 1990s, Bishnupriya Manipuri literature gained its momentum. Journals and magazines such as; Pouri (1989), Jagoron (1991), Jebaka Jedin (1991). Ithak (1994) began to publish. Many young writers worked hard during that time to make Bishnupriya Manipuri literature more prosperous. Edited by Uttam Singh (currently residing in USA), the little-magazine “Pouri” the participation of young Bishnupriya Manipuri literature writers got accelerated. Today, “Pouri” is a national standard information-research organization, from which many books in Bishnupriya Manipuri language is published mainting high standard of literature. Its main contributor is Dr. Sukumar Singh Bimol, the man is a great patron of literature, and also by Shushil Kumar Singh. From the same organization, edited by Shushil Kumar Singh, “Pouripotrika” is being published once in every two months. Literature, criticism, non-fiction, translation etc. is immensely contributing to Manipuri language. Although not regular, “Gaorapar” released with many important writings of Shumon Singh. “Kumei” is being released once in two months. Shongram Singh is another important figure in journalism – he releases information and news of Bangladesh in his news magazine “Ithak”. In prose, particularly in short stories Amarendra Singh, Brojendro Kumar Singh (Sikadini), Bimol Singh, Anukul Singh (Boshonter Khollik), Sritikumar Singh (Sritikumrar Choto Golpo), Jyotiprokash Singh (Bana Panir Shale) Geeta Mukharjee and many others brought out the life, its distress using myth and cotemporary incidents. Anukul Singh's “Not light but darkness” tells a story of an excited older woman over the introduction of trains in her area runs over by a train. From this story a self-conflicting effect of development is expressed. In Sritikumar Singh's “Dhojor Mistiry Moron”, a carpenter has to dismantle his home he built himself. It shows the extinction of older-traditions in a sensitive language. Story writer Shurendra Kumar was born in Ghoramara village of Moulavibazar district. His writing style is subtle yet sharp and objective. He is a flawless writer of women form living on the edge. Several of his writing like; “Matir Shongshar” and “Kishanpurer Maya” he created tales of rural life, inner lives of women, complications in relationships takes him to an elevated level in literature. The youngest of Bishnupriya Manipuri literature, Najan Singh focused on the Marxist sentiment and its sufferings of the race. “Bedi” is heart-felt story of Sudhesna Singh . Linguistic Dr. Kaliprosad Singh is the first person to perform a methodological research on Manipuri Language. Furthermore, Barun Kumar Singh Brojendro and Kumar Singh are among the other major contributors. In Bangladesh, Dr. Ranjir Kumar comes first in essay and research. Among his best writings are; “Shadhinota Shongrame Bangladesher Manipuri Shomaj” and “Nighshing Nirole”. The research and the other writings on root of ancient popular beliefs is regarded as an important document. Moreover, Rajkantha Singh Roshmohon Singh, Chandrakumar Singh, Hemantakumar Singh, Shyamshundor Singh, Stayajit Singh and Shajalkanti Singh are other young and prime writers who write essays both in Bengali and Bishnupriya Manipuri. Indrokumar Singh comes first when talking about playwrights. In a subtle comedic style, “Meikei”, 'Jorashondho” “Sensus” expresses the social imbalance and the flaws of human character. Brojedrokumar Singh, Ashwani Kumar Singh, Nandershwar Singh and Ranjit Singh are of high standard play writers, and their work gave momentum to theatre drama. There are barely few novels in Bishnupriya Manipuri. Socio-political environment was never in place for the practice of novels. Yet, Provash Kanti Singh, Jyotiprokash Singh and Shomorojit Singh produced novels, where a picture of the complexities and conflicts of race and the state and drawn. Dhononjoykumar Singh comes first in translation. Apart from Sophocles, Kalidas and Rabindranath, his two- volume “Onubadkolpo” can easily be considered as one the best translated literature. Dils Lakhkhindra Singh is another name in the field. But the pioneer in playwright from both Bangladesh and India must be the “wandering poet” Gokulanondo Gitiswami”. He, with his heart-lifting plays “Matrimongol Kabbo” and “Shomaj-Sonhskar” wandered around the villages, and created a revolution in drama scene. Currently, in Bangladesh, the dram-group called “Manipuri Theatre” is staging drama programs in Manipuri Language, in the areas of Manipur and the rest of the country, and abroad as well. The last half of the article, will be published on the next issue of Star Insight.